and the brown grass means summer isn't far behind. I discovered the first violets of spring yesterday...and we have to mow the lawn already!!!! Oh I love those california poppies, my mum used to have them in her garden in England. Love that glowing sunshiney goldness. 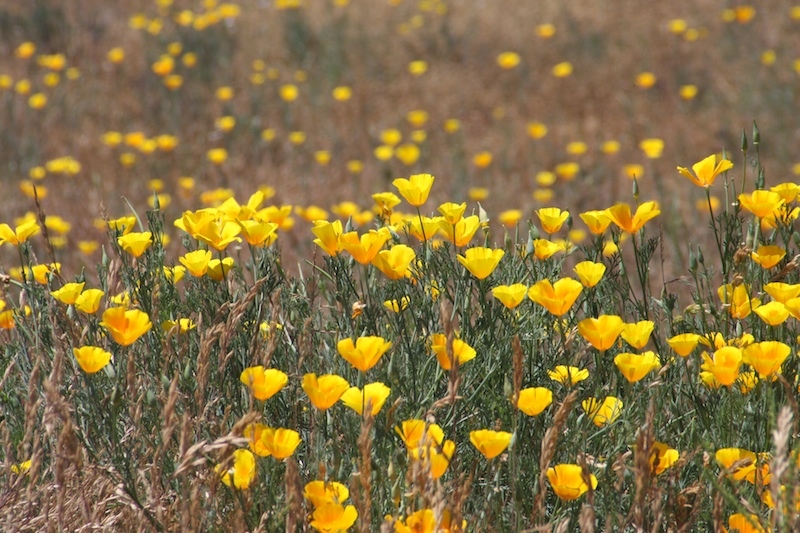 California poppies. Wow, that sure brings back memories, Mad! The poppies look pretty but seed rather readily; everywhere. Enjoy your spring/summer we are just going into the other side of the seasons. Beautiful, bright yellow. What a way to remember spring.